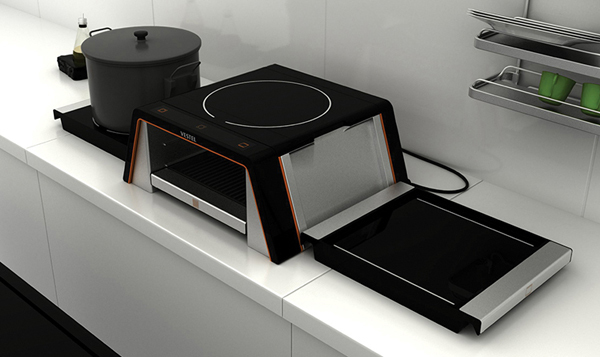 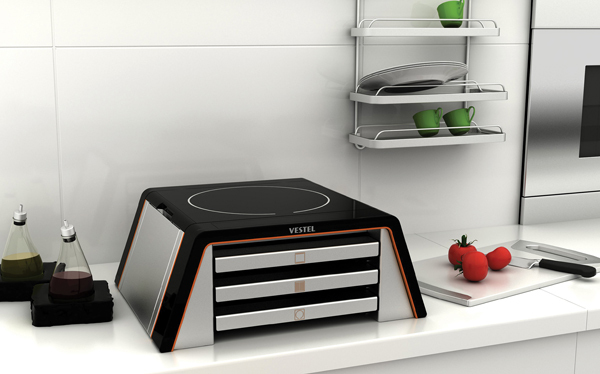 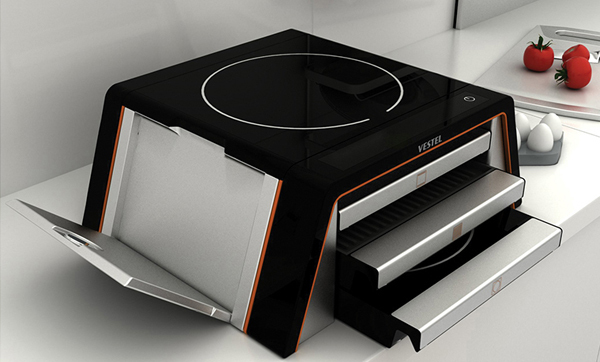 The VIA modular cooking concept aims to fulfill a variety of cooking needs by offering a range of easy-to-use cooking methods in a super-compact unit that will fit on any kitchen countertop. 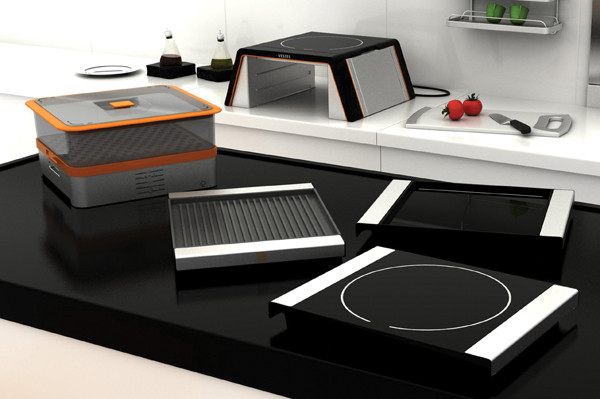 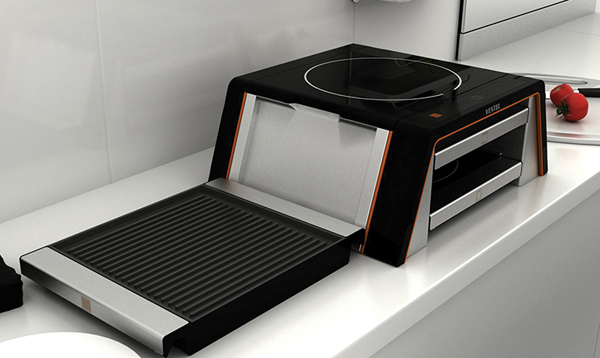 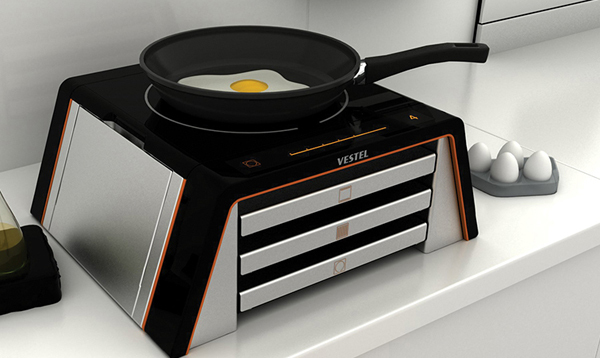 The multifunctional design features interchangeable grilling, griddle, and induction cooking modules that receive an instant electrical charge when in place and can be used, quickly cleaned and easily stored within the base of the unit. 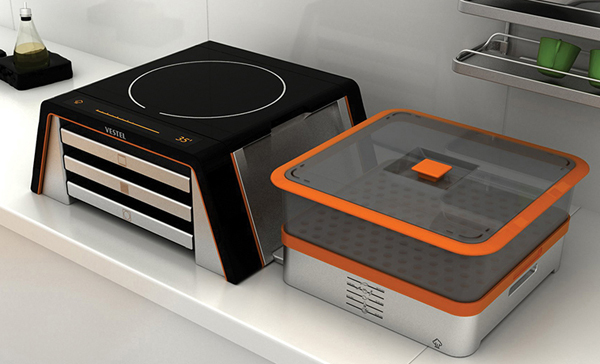 It’s a great solution for small apartments where large appliances would take up valuable space!